When ambitious Doctor Paul Clement takes a job at the mission hospital on Saint Sebastien, he has dreams of discovering cures for tropical diseases. What he finds is a place where the black arts are just a way of life. After witnessing the ritualistic murder of a young man said to be one of the living dead, he is forbidden to speak of what he has seen. 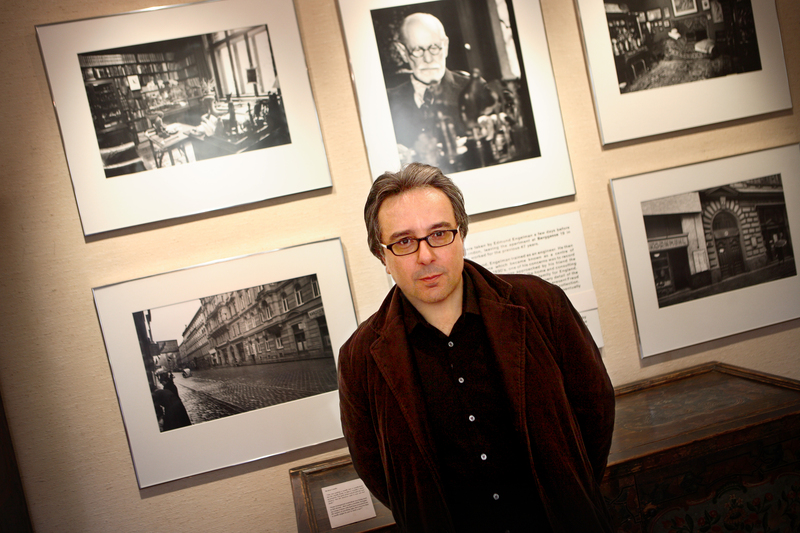 On returning to Paris, Clement’s attention turns to studying the nervous system and resuscitation. He is told of patients who have apparently died, been brought back to life, and whilst suspended between life and death, experience what they believe to be heaven. Clement attempts a daring experiment in order to confirm these extraordinary reports, but the outcome is wholly unexpected. Could it be that when he is resuscitated, he brings something back with him – an ancient evil, so powerful that it can never be destroyed? Is the good doctor slowly succumbing to madness, or has he really passed through the gates of hell? This is what the sleeve note tells you about The Forbidden – and rather intriguing it sounds too. The whole scientific experimentation thing instantly recalls Mary Shelley’s amazing Frankenstein and the religion/Hell/Heaven side of the story made me think of Matthew Lewis’ The Monk, which I read several years ago and still love, as well as Confessions of a Justified Sinner and The Testament of Gideon Mack. 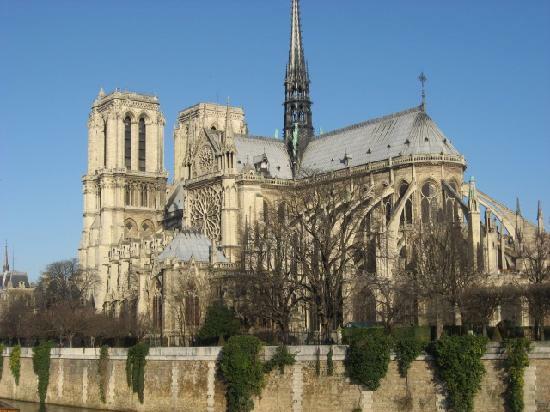 Plus, I love Paris and all its gothic history. Clement’s time on Saint Sebastien takes up only the prologue, but you feel a short novel could have been made of it. His superior, Tavernier, has taken up full-time residence on the island after an ‘incident’ in Paris and is happy to acquaint Clement with not only the workings of the hospital but the traditional practices of the natives. They believe that after a person dies their body can rise from the grave and be seen walking about like a ‘zombie’ – because the person’s soul is not at rest. The mission’s priest will hear none of it of course, so the people turn to their bokor – a sort of witch doctor figure that they revere. While Clement is fascinated and disturbed, Tavernier laughs off the strangeness and the fact that the French authorities on the island do nothing when the natives decapitate and essentially chop up a young man supposedly risen from his grave, as a way to free his soul. The French missionaries have no respect for the local practices, or the local people, and only care that their sections of the island society are running smoothly. Still recovering from the Paris siege and its horrors, Clement is unsure how to react. Clement is horrified and fascinated by all this, whilst the jaded Tavernier laughs off the horror. Back in Paris, Clement works with a professor to whom he and his father are distantly related – a Guillaume Duchenne de Boulogne. Duchenne was a real 19th century doctor, and all his work described in the novel is documented. In the end notes, Tallis describes him as ‘a pioneer of electrical resuscitation techniques and…an experimental physiologist’. 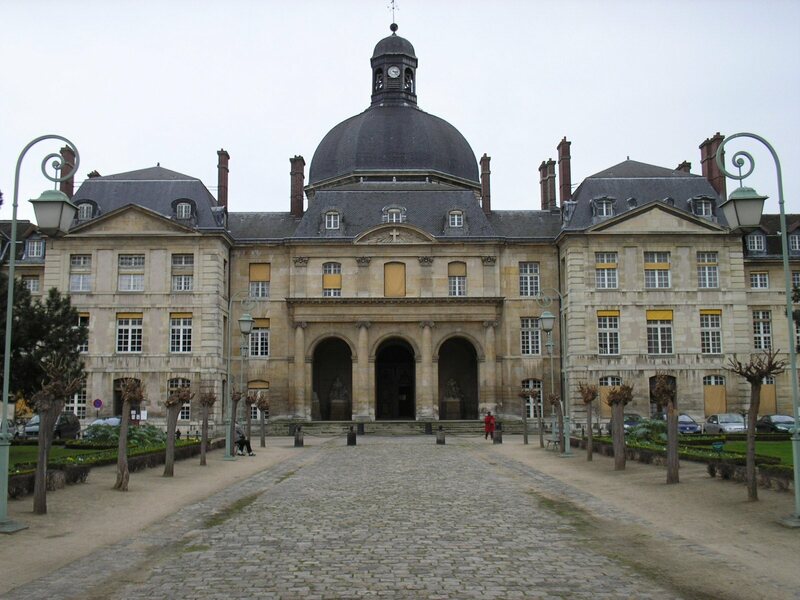 After working with Duchenne, Clement gets a job at the Salpetriere hospital with another real-life doctor of the period, Jean-Martin Charcot. He ‘was a pupil of Duchenne and is now regarded as the father of modern neurology. He was chief of services at the Salpetriere and became known as the Napoleon of Neuroses’. I claim no scientific ability, but I find all this amazing. That point in the late nineteenth century was when modern scientific methods were beginning to develop, and it is just fascinating to see how they were used and viewed. Though we do not learn the beginnings of Duchenne and Charcot’s work, Clement’s introduction to them creates a sense of wonder as well as doubt in the long-established methods. Duchenne is/was devoutly religious, while Clement is not, and so the question of religion comes to his mind. What do patients experience when they are ‘dead’ for a few minutes? Is it the afterlife? In long conversations with his friend Bazile, Clement comes to the conclusion that those patients that were able to describe their ‘experience’ when temporarily dead were in fact experiencing the Christian afterlife; but he needs proof. He himself is not entirely convinced of the stories, or for that matter of Christianity as a whole. He has also discussed this at length with a fellow doctor, Soulignac, who also has a keen interest in resuscitation. He tells both these friends of what happened on Saint Sebastien. Eventually Clement decides that the only way to know for sure is to be ‘put under’ himself, and then resuscitated. Soulignac has plenty of potions at his disposal and is able to essentially suffocate Clement for a few minutes and then revive him with Duchenne’s electric battery device. While the other patients described light at the end of a tunnel, Clement experiences what is obviously Hell. Practically taken from the closing pages of The Monk, Clement sees demons flying around, people being beaten and trampled; and then there is one woman being simultaneously raped and disembowelled by a group of demons. Clement hides behind a rock, watching in horror – but then one of the demons sees him and advances. He is terrified helpless, transfixed by those yellow eyes… and then Soulignac resuscitates him and he is alive again. Just in time! Or was it? The blurb essentially tells you that Clement becomes possessed. The demon who approached him managed to hang on to him in some way and now possesses him in the world of the living. From this point, the novel becomes more exciting, but it also becomes more cliche. If you’ve seen a Hammer horror, or indeed any horror film since ‘The Exorcist‘, you will be familiar with this trope. He is possessed, he becomes evil, the people around him suffer. This is the massive flaw in this novel. We have seen/heard most of it before. However, I cannot deny that this is a brilliant novel. Tallis is a clinical psychologist as well as writer, and his examination of Clement’s state of mind and his disturbing experiences are portrayed with real feeling as well as meticulous detail. His style is engaging and easy to read, as well as genuinely gripping and intriguing. At no point did I get bored or hope it would end soon. However, there were moments when I got a little annoyed with how familiar some of it was. Some demons, like those depicted as gargoyles on the Notre Dame (like the one on the cover), are documented to have sharp, thick nails or claws in order to rip opens veins and arteries and drink the blood of their victims. In the end notes Tallis explains that the idea of a vampire biting a victim only became popular at the end of the nineteenth century ‘and [is] not very practical. Only a small amount of blood can escape from puncture wounds’. So, in keeping with the old demons, Clement’s fingernails grow thicker, sharper, and longer; he begins to adore the smell of blood and pierces the skin of his lover, sucking out her blood; he also becomes sensitive to daylight and wears tinted pince-nez, and becomes essentially nocturnal. His shadow also takes on a demonic quality, allowing him to feel someone’s heart beating if the shadow of his hand falls on their chest. This is all very old hat. We’ve seen this before. BUT, Tallis is a good enough writer that it is still bloody good (excuse the pun). The inevitable exorcism scene is really rather enjoyable. A crypt under Notre Dame, an old priest, a straightjacket, a crystal ball, and yes, a gruesome death. Lots of fun. After the exorcism the book changes tone again, as Clement leaves Paris (with the demon in captivity… for now) and works as a live-in doctor for a rich country family. Again, things get a bit suspicious and he worries that some part of the demon remains inside him, that he really is evil, that he can never again have a normal life… it gets a bit dramatic. Tallis excels, however, at creating a rural environment just as engaging as the gothic delights of Paris, and some equally engaging characters. Bazile appears again for a last hurrah and again there is a beautiful, unobtainable woman for Clement to lust after. All very well and good; but why does Clement get possessed in the first place? Essentially because he told Bazile and Soulignac about the bokor and the murder of the ‘undead’ boy on Saint Sebastien. If this is why he is possessed, then the bokor’s curse was real, which means the magic of the bokors is real – and we know that Hell is real, he’s been there. So was the boy on Saint Sebastien really one of the ‘living dead’? By decapitating him was the bokor really setting his soul free, or was it all superstitious nonsense? There is also the question of whether Clement simply goes mad and imagines/hallucinates his trip to Hell and subsequent possession. At the Salpetriere there are psychiatric patients who claim to be possessed or somehow in touch with the Devil or a demon. They are ‘demoniacs’ and one, on seeing Clement, is able to detect that he is possessed and is very respectful and fearful of him; he also vomits up an ancient religious relic and gives it to the confused doctor. After his possession, Clement wonders if the demoniacs at the hospital are really mad, or if they too have been or are still possessed, as he was. He wonders if he himself is mad, or went temporarily mad. The scientific and psychiatric limitations of his day mean he can never know, but then we in the present day are still unsure about the details and specifics of ‘madness’ and ‘insanity’. The mind is capable of amazing things, and as possessors (ahem) of human minds we can never provide an objective judgement, no matter how ‘sane’ we are. There are a lot of cliches in The Forbidden, and a lot of familiar territory, but Tallis is a skilled writer and has clearly used his experience as a clinical psychologist to add an extra layer to the story. The psychological and medical elements of the story are the most engaging and enjoyable, and distinguish The Forbidden from other possession/demon-themed horror stories. A tolerance of cliches is necessary to read this book, as is an ability to recognise good writing and the hard work of an author, despite those cliches. 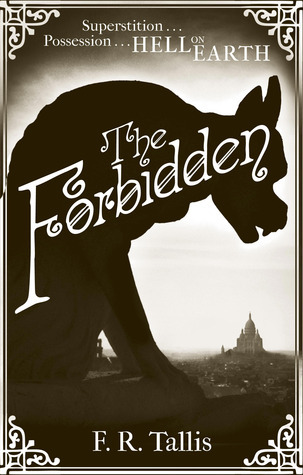 The Forbidden was published by Macmillan in June 2012. My copy was kindly provided by the publisher for review.